It all started back in February when I got an email from Hilary and Pauline asking if I would be interested in being commissioned to make a large outdoor mosaic to go into an inset in their walled, courtyard garden in Marple, Cheshire. We then talked on the phone and got on so well that I instantly agreed even though we were not sure what the piece was going to be. 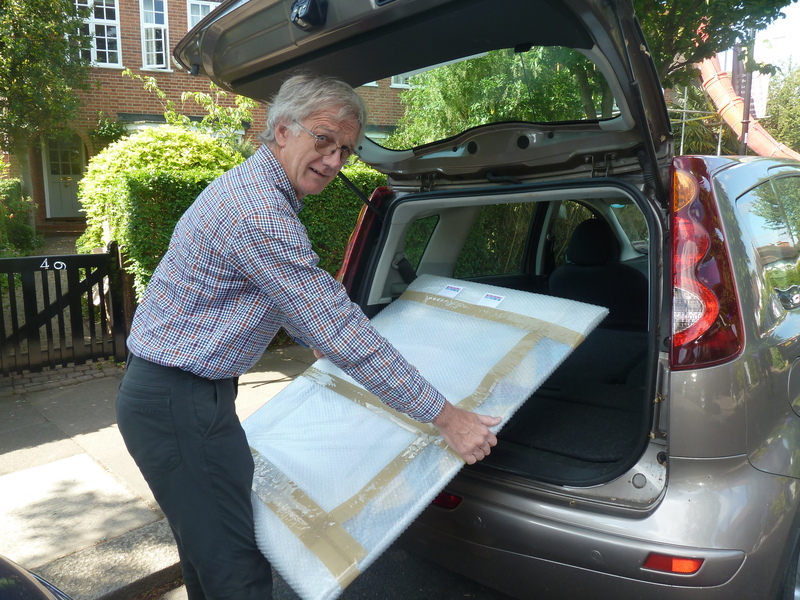 They had found me by going onto the BAMM website, which is the representative body for mosaic artists *. Although I had joined the organisation the previous October, I had only put my details on their website a week before Hilary and Pauline starting looking! Over the next couple of weeks ideas and sketches were discussed and emailed and we very quickly agreed on a piece that we all liked. I could then go shopping for supplies! 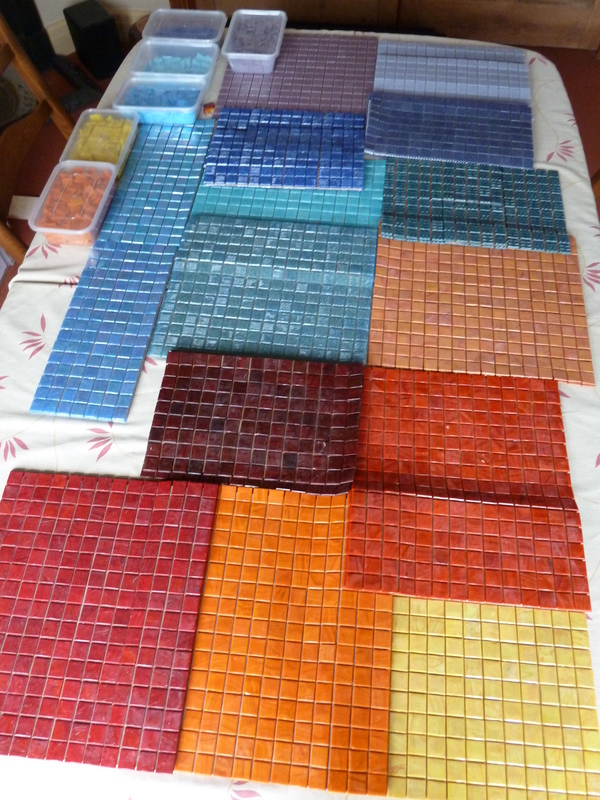 I had a great day and came back with lots of lovely tiles in beautiful vivid colours: some iridescent, some marble. Once I started work we began to Skype (a first for me!) so they could see the progress, although I only showed them snippets rather than the overall piece, to keep them guessing! Being such a large piece, I made sure I paced myself and the work was carried out over a period of 4 months. I have kept a pictorial diary of the whole process for them. Over this period we found we all had so much in common and became firm friends. Once the mosaic was ready, Alan and I were happy to deliver it and take the opportunity to have a few days in Buxton enjoying the lovely Derbyshire countryside. On arrival at Marple we had a grand unveiling with a bottle of champagne to ‘toast’ the new addition! The WOW factor was incredible and obviously very rewarding for me as I really enjoyed making the mosaic and was delighted they were so happy with it. Hilary and Pauline had the mosaic installed the next day and we had a trip over to see it in situ and get some photos before we came back to London. 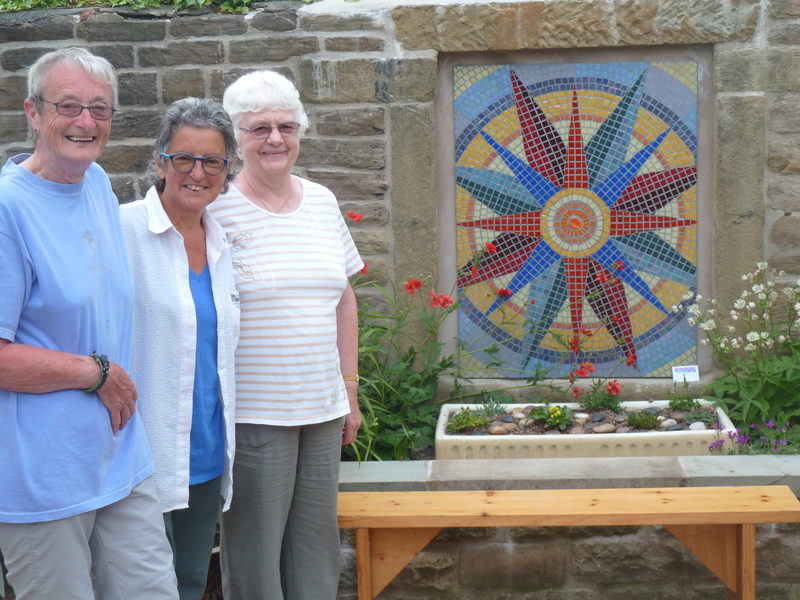 I love making commissions and although they can be a bit stressful and worrying, it is all worthwhile when you get the reward of seeing the reaction and praise that shows how obviously happy Hilary and Pauline are with their piece of mosaic art. The whole project has been a delight to work on and Hilary and Pauline are such lovely people. I can see us having trips back to see Hilary and Pauline, check on the mosaic and sample some more of the lovely Derbyshire countryside. AN UPDATE 3 YEARS ON: The mosaic still brings daily joy to Hilary and Pauline. Our friendship has developed to such an extent that they have been to visit us in London several times and we have visited them in Marple. We talk on the phone and Skype on a regular basis and I have made more mosaics for them (not on such a large scale) and also gave them a Tree of Life mosaic as a joint birthday present. 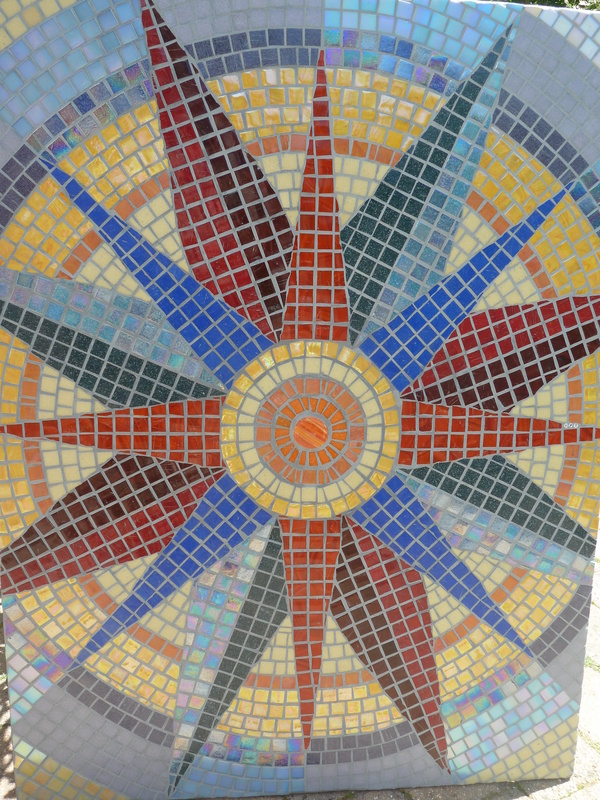 I now warn prospective clients: A mosaic is not just for Christmas – it could be for life!! * interestingly enough, mosaic artist Alison Hepburn recommended that they try BAMM – so THANK YOU Alison. Thank you David, all down to BAMM for getting me the intro. Great Conference on Saturday, you always get such incredible, high caliber speakers. Thank you and it has lead to all sorts of other things. Just preparing for my next ‘event’ which will showcase ‘The Marple Collection’.